Al Jazeera is a superb TV station. I watch the English version, and at times feel that I am watching the BBC-By-The-Sea. Aside from its coverage of events in the Middle East, which is comprehensive, it produces excellent reporting from other parts of the world. Today’s programme about Australian Aborigines equals anything to be seen on other international stations such as CNN and BBC World. The station has a massive degree of trust at the grass roots of the Arab world. During the recent Egyptian uprising, a Saudi friend told me that “Al Jazeera is the only channel I watch to find out what is happening in Egypt, because it’s the only one I trust”. And yet the station has made many enemies over the years. To its supporters, it is a bastion of free speech, and has done more than any government to change the perceptions of its viewers in the Middle East. On the other hand, at one time or another, it has made enemies of Bahrain, Kuwait, the United States, the United Kingdom, Spain and Iraq. Perceptions of the station in the West as a mouthpiece of Al Qaeda have been reinforced by its being the letterbox for just about every video and audio tape purporting to come from Osama Bin Laden and Ayman Zawahiri. Other claim that its spiritual mentor is the Muslim Brotherhood, enough to send shivers up the spines of some of its detractors in the West. And now Colonel Gaddafi has accused the station’s Qatari owners of meddling in his country’s internal affairs. 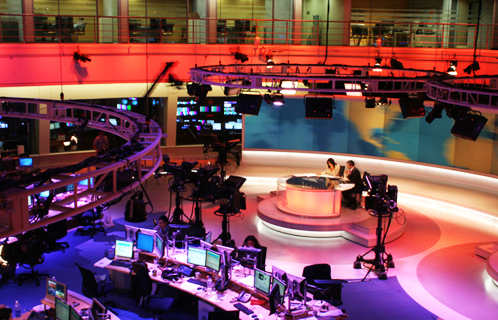 The extent to which Qatar’s ruling family, which owns Al Jazeera, does actually exert its influence on the station is a matter for speculation. But there was an intriguing statement in an article from yesterday’s Asharq Alawsat by Huda Al-Husseini – Iran, Syria and Egypt’s Muslim Brotherhood. She referred to a leaked report from within Syria’s Ministry of Foreign Affairs about plans to exploit the current situation in Egypt in order to move that country towards an anti-US alliance with Iran and Syria. The report’s authors believe that what happened in Tunisia has no precedent in modern Arab history, although the Arab region is accustomed to military coups or foreign interventions, when regimes are overthrown. Yet they alluded to the possibility of repeated cases of collapse regarding Arab regimes, “especially in Egypt.” The report’s authors used Iranian intelligence regarding the decline of the Egyptian regime’s ability to deter [civil unrest], in the face of educated young people who suffer from poverty, unemployment, deplorable living conditions, and a political regime beset by corruption. Hence, it was impossible for the Egyptian regime to neutralize the popular uprising, because it did not have solutions to the economic problems inherent in Egypt, and was cautious about resorting to violence to confront the demonstrations, because of [the presence of] Arab satellite channels, especially “al-Jazeera”. The report indicated that a study is currently being conducted to gauge this channel’s policy towards Syria, and to try to reach an agreement with it, as Iran did during the demonstrations that erupted after the 2009 elections, when Ahmadinejad was declared victorious. The highlighting of the text is mine. I’m not sure of the provenance of the report – the region is currently rife with propaganda of one sort or another. One also has to bear in mind that Asharq Alawsat is Saudi owned, and such an alliance would leave Saudi Arabia politically isolated. But the article comes at a time when an Iranian frigate and support vessel entered the Suez Canal – the first Iranian warships ever to do so – on their way to what Iran claims is a “joint training exercise” with Syria. If it were true that some countries in the region regard Al Jazeera as being open to negotiation on its editorial policy, would it really be the station’s managers with whom those countries would be negotiating, or its owners? It’s hard to see a coherent guiding hand behind Al-Jazeera. The ruling family of Qatar would surely not benefit from all of the potential outcomes from the current turmoil. And I would expect that some of the station’s star names like Sir David Frost would not be comfortable associating themselves with being unwitting instruments of Qatari foreign policy, especially if the influence was blatant. But then again most journalists are used to working for proprietors with agendas. Rupert Murdoch, for example, could never be described as hands-off. The Qatar ruling family are not answerable to anybody, but if the enmity felt in some quarters against Al Jazeera rubs off on them, fairly or unfairly, there could be future consequences. I’d welcome comments from anyone with thoughts on this. A quote from your article: “The Qatar ruling family are not answerable to anybody” . I know it has to be read within the context of the total paragraph but nevertheless the issue remains clouded until tested thoroughly and again. At the moment it just is not part of the public domain. My attitude? : I like Al Jazeera a lot and I like the way they have managed become so mainstream: enjoy it while it lasts. So do I Misha, and especially their documentaries, which are often superb. It’s also a rare pleasure to hear someone like Tariq Ali, whose writing I greatly admire. He has the gift of being able to speak in perfectly formed papragraphs – a comment once made about the erudite British politician, the late Enoch Powell, whose writing I’m afraid I didn’t admire. It’s an ability you don’t often see on TV. Was it not the Al Jazeera station chief in Beirut who is openly and virulently anti-Israel? As well as blatantly pro Hezzbollah? I recall the infamous birthday party hosted live on TV for a recently released terrorist. Although I do not watch AJ, I do sometimes read their English website, whose comments are nearly always from one particular persuasion and feature Western academics who are situated to the left to far left. This to me is not balanced reporting and clearly shows a crass bias. At least on the written page. From what I hear about the Arab language channel, the hosts and speakers often take sides and like to opine all to clearly, leaving no doubt about their position. I fear that for those who do not speak Arabic, a clear understanding is not on offer. As the editorial content differs depending on the language. One of the reasons I asked for feedback is that it’s hard to comment definitively on Aljazeera without speaking both English and Arabic. I’m not sure I would agree that the bias of the English channel is crass. For sure, Donald Rumsfeld and Paul Wolfowitz are no more likely to appear regularly on Aljazeera than Tariq Ali on Fox News. Equally, you wouldn’t expect the Daily Mirror in the UK to be rooting for the far-right British National Party. International viewers like me tend to flip from one channel to another to get their balance. We have a wide choice. But Arabic-speaking friends tell me that over the past month they have tended to look at only two Arabic channels for their coverage of Egypt, Tunisia et al – Aljazeera and Arabiya. That gives those channels much power – and responsibility.